"We have ordered twice from Amish Workbench Furniture and couldn't be more pleased with your service! Obviously, we owe a lot of gratitude to the Amish for manufacturing our beautifully-crafted furniture, but thanks to AWBF for helping us obtain it for a fantastic price. I guarantee we will be ordering more through you in the near future. Thanks!" "Hi Rosie - Long time no talk...ha.....hope you are enjoying the holiday season. I just got my BEAUTIFUL FURNITURE on Wed. The delivery guys were wonderful and efficient. There was no damage.....I have to tell you Rosie....if I did not already own stuff I like I would not go any other way except with your fine craftsmen.....OMG...they are a thing of beauty. Even the file holders in the file cabinets are beyond compare...I did not even know they could be so nice. It definitely was worth the wait. I am so glad I went with the stain I picked because it is so rich and classy." "Desk and chair were delivered yesterday, Sunday, afternoon…they are beautiful. Delivery man was great and helped us out as this beast is HEAVY... looks great and thanks!" "Hi Karen - Our chairs were delivered today and they are BEAUTIFUL. We appreciate your efforts in helping us work everything out. The delivery folks today and the man from the company used to deliver the first set of chairs were also very nice." "Dear Rosie - I hope your year goes well too! I can't believe we are almost at the end of February already. Tom and I will keep you in mind when we need more fine furniture. We have been mentioning you and your company to many friends who have been admiring our end tables and how perfectly they match our coffee table. Thank you so much for doing such a nice job for us!" "I just had to let you know how wonderful one of your sales representatives was with me. You could hear her smiling over the phone and she had tremendous patience with all my questions. She helped me find/design my dream pieces. I am so excited. I hope you can put a little label inside of the armoire so I can show it off to all my friends in CA and refer them to you! You are so lucky to have someone like her representing your work. I just placed my order today. Thanks for the receipt and thanks again so much. I'm very pleased with how much help you've been and how professional yet personal you've been too! You've made the purchase very easy for us! We can't wait to see the beautiful furniture and I'm sure we will be in touch in the future!" "Dear Rosie - It has been a real pleasure working with you. I appreciate your great customer service." "Thank you for your wonderful customer service. I appreciate your prompt responses in processing my order. I’m so glad the chair is in stock, and I look forward to receiving it, perhaps as soon as next week. Again, "Thank you" for your kindness and excellent customer service. Have a wonderful week." "Dear Rosie and Galen - We just received our entertainment center today and I wanted to write and tell you how pleased we are with the unit. It surpassed all of our expectations. Everyone at Amish Workshop Furniture was a pleasure to deal with. We had requested a few custom alterations to our cabinet and they were completed without any problems. Your sending us several actual color samples to choose from was a huge plus. The color is exactly what we wanted. Choosing a color from an internet picture is virtually impossible. Please accept our thanks for a job well done. Rest assured we will tell our friends about you and will not hesitate to order from you again for our future needs." "Dear Karen - I’d like to thank you and Rosie for the top notch customer service you gave me. It’s nice to do business with professionals who know their products and aim to please. Thank you very much. Take care and be safe." "Galen - We are thrilled with our new bed. Assembly was so easy. The workmanship is excellent. Can you please extend our thanks to the Schwartz family? We appreciate your pricing and we feel we got a wonderful value for the cost. The staff was all great. Thanks again. This bed will be a part of our home and family for generations to come." "Hi Mark and Gang - Just a quick note to say how pleased we are with Amish Workbench Furniture. From our order until delivery, everyone was helpful and honest. Everything was delivered as we expected, and was exactly as we had ordered. Everyone there kept us informed of progress on our order. Rosie took our order (what a great lady). Feel free to have anyone contact us for a recommendation for your company." "Hi Galen - The new furniture looks so spectacular!! You all do such a wonderful job with finishing the wood and finding the most comfortable padding, and great leather. Rockers look great and sit better. I will keep you in mind for all my furniture needs. Thanks again for a great job." "Rosie - Thank you so much for working with us with our baby furniture. This was a very important and big purchase for my wife and I. Since this is going to be our first child, we wanted to do it right with Amish style furniture because we know that the quality could not be matched. 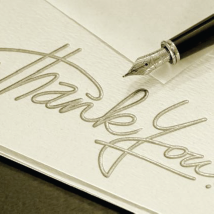 I just want to thank you for your friendliness and professionalism. You really made this experience for my wife and I a really good one. The one reason why I really wanted to buy furniture from your company is because of how hard you worked with accommodating our needs. Every time I got off the phone with you before I said bye, you said Thank You, when I really should have said thank you to you. I just kept telling my wife how astonished I was with your work ethic to make us happy. I will recommend your company to anyone I can and will also go through your company for any other needs I have. Thank you so much for all of your hard work and time it just means the world to my wife and I. Thanks again." "Galen - My son received the child's sheaf rocker that I ordered from you and he and his daughter LOVE IT!! Thanks for the help you gave me." "Hi Rosie - We picked up the curio cabinet and we are very happy with the piece. Very well built. The only suggestion would for them to use entirely concealed door hinges. It's beautiful and the color and size fits well into our living room. Thanks for all of your help." "Hi Karen - I wanted to let you know that we received our furniture last evening and it is beautiful. Thank you to you and Galen for your help." "Please let the owner of Brookside Furniture know how extremely pleased we are with all of the furniture. The craftsmanship is simply outstanding! The wood that was used to build our furniture looks to be of the finest quality. The finish on it is superb. I know, without a doubt, that I would never be able to find such a beautiful bedroom set anywhere. Please thank them for all the custom extras that they did for us. The little wood divider pieces for one of the drawers of my jewelry armoire are exactly what I was looking for. It creates such an organized display of my earrings. I don't know which piece is my favorite, the jewelry armoire or the bed, which is unbelievably beautiful. My Dad was a finish carpenter all of his life and if he were with us today, he would say, "Lorraine, these furniture items are certainly masterpieces. As I have told you before, we have quite a few pieces of "Amish built" furniture, but my belief is that the Brookside pieces are definitely the best. I am always so proud to show family and friends our bedroom set. Last but certainly not the least, many thanks to you, Karen and all the staff at Amish Workbench. All of you have been so helpful, kind and considerate during the process of having our bedroom set built and delivered. Many people have asked us where we bought our furniture from and I give them your website. I tell them that they will certainly be pleased, should they decide to buy from you." "Every single detail was exactly as I had expected - no surprises. I just wanted to let you know that I am very happy with the result and that I appreciated your help and responsiveness through the process. Please pass my thanks along to the folks at DutchCreek Design too - they did an amazing job. Thanks again."